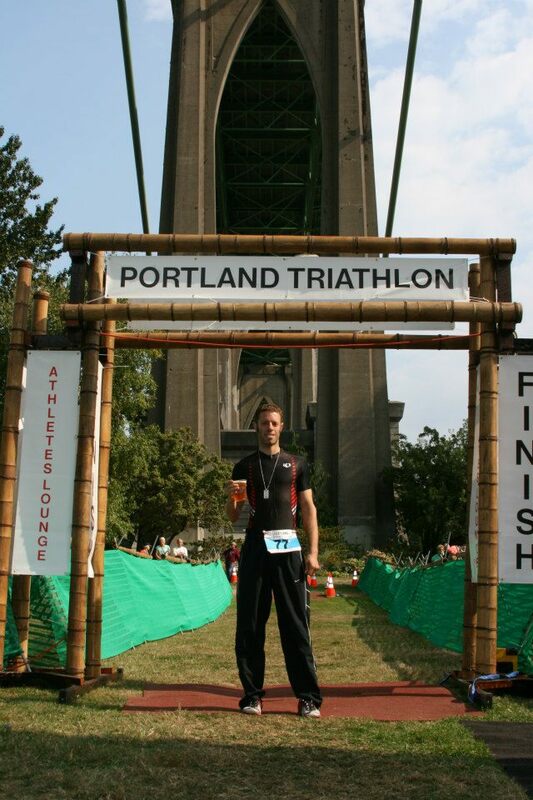 Check out some of my Past Races. That doesn’t include some of the triathlons including the Lake Stevens Half Iron Man and Deschutes Olympic Tri. Portland Shamrock 15k. Very crowded hilly course that climbs up the Terwilliger hill past the Chart House and loops back around to town. I had a really strong kick the last half mile. Felt great after. Exciting to see I could handle a comfortably fast pace but felt like I could have pushed a few faster miles. Kicking up the second half of the long climb and recovering just a hair while falling down the descent with a quick cadence will set you up for a strong kick down the waterfront. Notes for next year! And getting there early enough to start closer to the front here is crucial. If not just stay loose, smile, and have a good time ducking and weaving through the huge crowd. Jumping up and down sidewalks and curbs to get around them can be a frustrating challenge. I find it helps to have really relaxing music planned for my first 2 songs on the playlist. Something that just makes you smile, breathe, and wanna dance a little. I’m excited a 6:40 average felt that good. 1:02 total time. It was super fun. Great beer after! Triathletes sure do love their post race micro brews! At least here in the Pacific Northwest. I’m working on this right now stop yelling at me! My goal is to qualify for the Half Iron Man World Championships but the date of my next attempt is up in the air. I plan on doing lots of very local races this year and will have a complete list of the 5/10k, half marathons, triathlons, road bike, and track bike races up on this page…..eventually. It’ll always be a work in progress but I’ll know a basic schedule very soon.